The best ideas in the world fail if not executed in the right way. As a mobile app startup, you want to do all you can to make sure you avoid crashing and burning even before you launch yourself in the market. 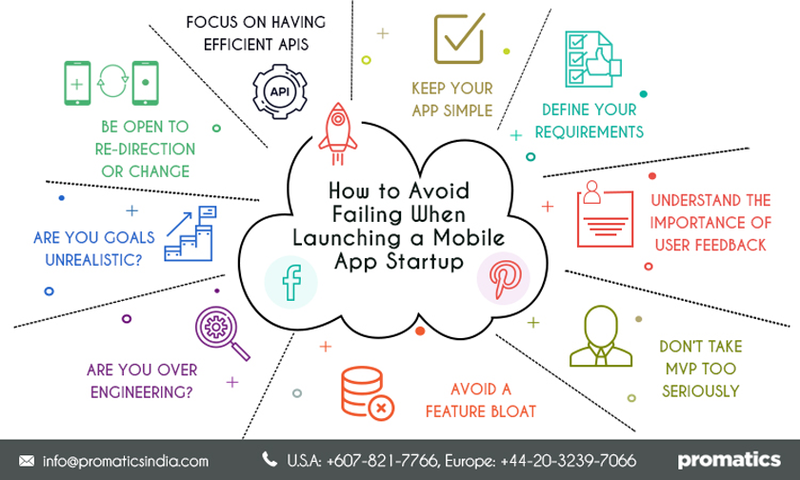 Here are a few things you can do to avoid failing when launching your first mobile app as a start-up. In the fast-paced mobile app world, it may be important to find the perfect product-market fit as quickly as possible. However, in the race to find the simplest, most effective app solution, many startups end up taking the MVP approach more seriously than necessary. In due course, they tend to rid the app of features that customers would otherwise need. The end result – a rather half-baked solution deemed to fail. As a mobile app startup, you already know that the success of your app significantly relies on the pre-production stage in comparison to the coding process. Many mobile app startups fail because they are not able to flush out the details of the scope and product requirements in a sufficient manner. Take out sufficient time to list out every minor user experience, requirement and process of your app before you actually start the coding. Make sure you get this list approved by the engineer, designer as well as the product manager. 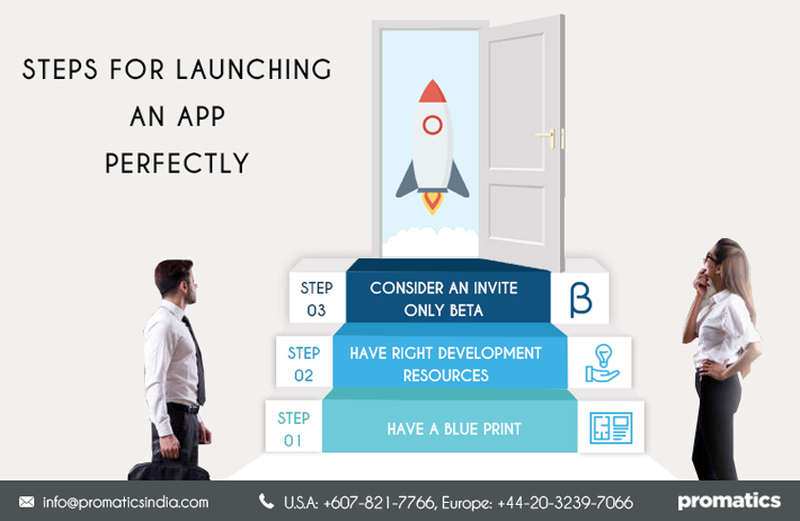 Before you launch your first app, you want to involve as many beta testers as you can find. They will help you weed out all the bugs in your mobile app before its launch. Just like any other piece of technology, understand the thin line between testing paralysis and launching too quickly. Find a balance between sufficient mobile app testing and identifying the right time to roll out your app. New age mobile app developers often get carried away and try to do a lot with a single app. When you take a look back, you will find some of the most successful apps are the ones that offer point solutions. It is always recommended that you focus on a single thing and do it right than offer multiple features in a mediocre manner. Start small, assess your traction and then scale up your app accordingly. This is another common problem faced by mobile app developers. You may have a very elegant app in mind, but if every individual you speak with recommends that you add just one more feature… Try and appeal your audience you comply with these suggestions only resulting in a rather messed up solution with more features that you can handle. Focus on a few simple solutions and get them right. One cannot overstate how important it is to be minimalistic when working on a mobile app. Focus on solving a basic problem. It may be tempting to add a widget here or there only to arrive at an app that is unrecognizable from what you originally planned to create. A common concern with startups that work on enterprise mobile app development too. They tend to be under the pressure to create schedules, goals and budgets that aren’t realistic. Most enterprise app development companies get seeped into planning fallacies, company politics and unrealistic demands from clients often resulting in failed app design projects way before the users even install them. Be realistic about the true scope of the development project before committing to any budget or resources. Running in roadblocks is a part and parcel of the mobile app development process. You need to understand when it is time to explore a new path that leads to enhanced and quicker results. Use agile methods that allow your developers to redirect process when a situation calls for it. The idea is to achieve success right from the mobile app development stage. Poor APIs are often attributed to some of the biggest issues mobile app development startups face. Make sure that your startup offers well-engineered backend services. This in turn offers the app fast and efficient mobile data, allowing the mobile experience of your users to shine. It is common for many app developers to focus too much on their front-end only to overlook their backend. Many mobile app development startups don’t realize that a mobile app is a form of delivery not an idea or business in itself. You need to first identify what product or service you intend to provide and then assess if a mobile is actually the best delivery method for that particular offering. Give your startup and business idea a comprehensive thought before you dive into the process of mobile app development and you will be sure of success. Promatics is a young, rising software development agency from India. They have wide expertise ready to take on the most demanding projects on web and mobile app development, e-commerce, digital marketing, cloud solutions, quality assurance and IT consulting. In the mobile field, they have expert app developers ready to work on Android, iOS, HTML5 and wearables projects.